I don’t know who this guy was, and being that he died in the mid 1930s, I doubt many alive do. 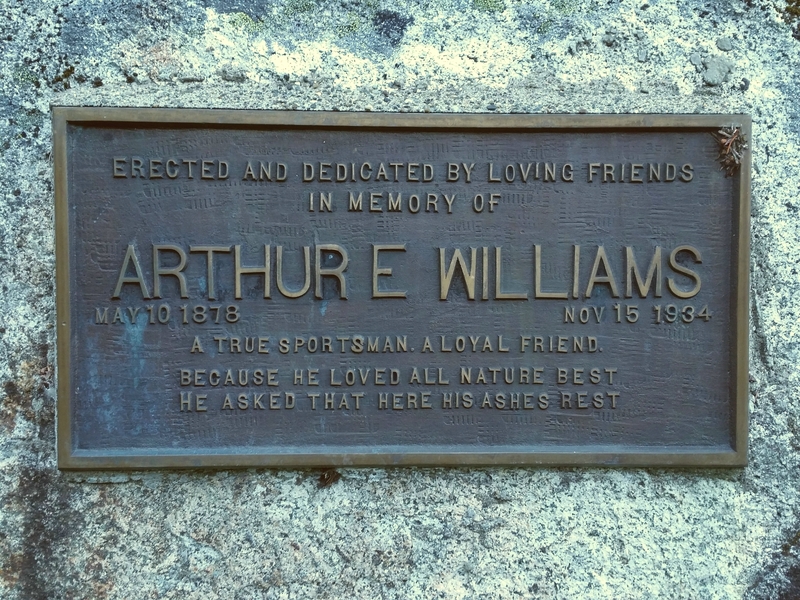 This bronze plaque is located on a small lake in the Alpine Lakes Wilderness (in which memorials are illegal) but perhaps it’s grandfathered in because of it’s age, or maybe very few know that it’s there. I was camping within eyeshot of it and probably didn’t see it for an hour. Honestly the thing kind of startled me, the sharp contrast of the man made in what feels like the middle of nowhere. The plaque was clean and the grout affixing it to the granite in fine condition. Growing up playing a lot of Nintendo games, I was hoping a secret entrance would appear, or maybe a treasure chest, or a boss enemy. 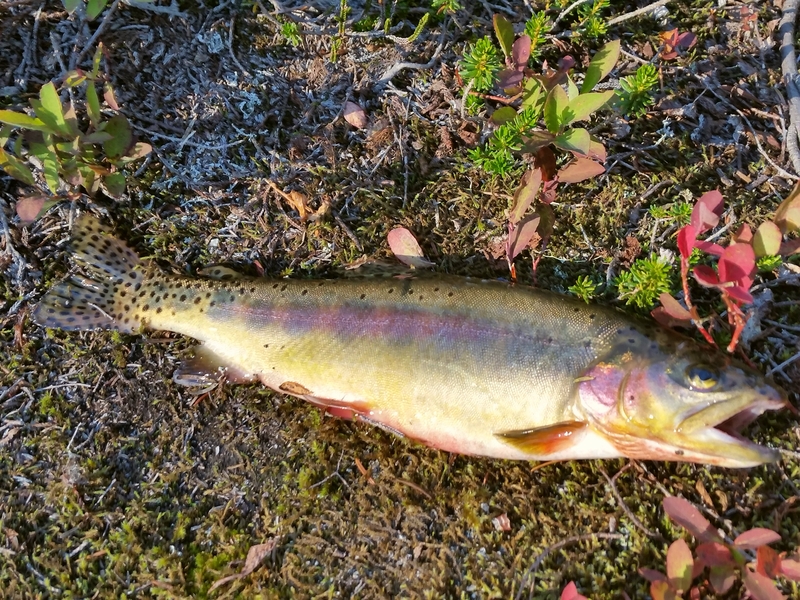 After just a couple of casts into the tranquil mountain pond, I caught myself one beauty of a Golden Trout. Maybe the magic words worked after all! 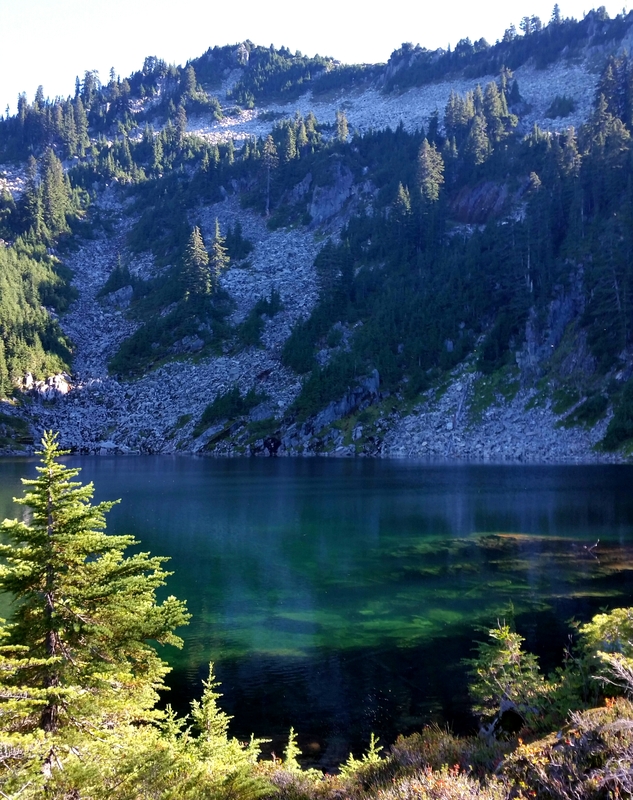 USGS Snoqualmie Pass; backcountry travel req’d. No trail.